Toma Coconea: “I want to fly of the Everest” - Casino Inside - The gambling industry magazine! He is a great sportsman and he does everything with wishing to surpass his own limits. In addition, the love for nature and movement led him to choose the mountain and extreme adventure as battlefields for his records. Thomas Capell is an accomplished athlete who seizes the moment relying on himself and on his desire for self outrun. It’s not easy, but everything seems easy for him and nothing is untouchable or unbreakable. You were 2 times Vice-Champion at the Red Bull X-Alps and this year you finished on the 10th place in this competition, and this is one of the hardest races of paragliding and mountain Marathon in the world! What’s next? The next edition will you come back to win? Next year I will go to X-Pyrenees, where I will cross the Pyrenees Mountains and in the same time I’ll train for a better participation in the X-Alps in 2015. How many hours do you train every day and what does this training consist of? For me it training is a way of life, and I can’t say that I’ve been training in a specific way. Of course, when the event I wish to participate at is approaching I start to become more disciplined. Otherwise, my training consists in trying to surpass my limits. For example, on November 16, I will participate in a charity event in Monaco, 7 days and 7 nights marathon, where I will try to beat the last year record of 1050 miles, and where I want to cover a minimum of 1100 km. You were the sportive type since childhood? Where from comes this love for sports and in particular for mountains? I was part of a club of orientation since childhood; it was here where I discovered paragliding. I like all sports that involve nature, including skydiving, snowboarding, paragliding and mountain racing. Do you think consider yourself to be a lucky guy? Yes, I’m lucky, because first I love what I do and I am continuously motivated, thus my spirit is still very young and I’m not thinking about retirement, wishing to participate in as many competitions as possible, as long as my health allows it. What bothers you the most in Romania of our days? Why? I can say that what bothers me the most is the manipulation present in the media, which discourages people, everywhere you look it is all about the crisis. We must not fear tomorrow, we must think positive, be optimistic. Instead, I am happy to see that more people are turning to sport, there are increasingly more participants to the marathon-like competitions, a lot of bikers and this is a positive thing for our country. In which category do you include gambling: vice or entertainment? Why? It’s a passion that pushes people to socialize and have fun. Of course, one has to know one’s limits and do not try to overcome them, and when I say limits I particularly refer to the financial ones. Now a day, in our country, as well as abroad, Texas Hold’em is in fashion. What is your perception of the today’s modern Poker? Is it just luck? Is it just a game or can you consider it more than that? It clearly is a combination of the two, but it is a game that requires intelligence, it develops mental abilities, and we can also say that it is a game that implies a lot of strategy making. As in paragliding, in poker you must know your limits, both disciplines require strategy, you must take into account all the variables. In paragliding is a constant struggle with nature. If, for example, you fly around 200-300 km, than you must try to foresee and adapt to the weather conditions encountered along the route. 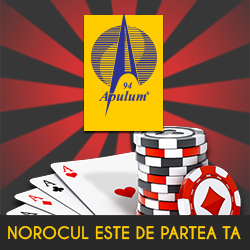 Have you ever been in a casino or a game room in Romania or abroad? If yes, what was your impression on the atmosphere out there? I was in Monte Carlo, out of curiosity, and I liked it very much. In our country there are a lot of prejudices about all gambling activities. Why do you think that happens? I don’t have a negative opinion. For many it is a way of life, a funfair, as running is for me. There is nothing to blame in that. Do you think about the future often or you only live for today? I also have plans for the future, but I can say that I like very much to live the moment. One of my future plans would be to cross Greenland by kite. Also, I want to fly of the Everest. Basically, my plans for the future include the overcoming of my own limits. What convinced you to accept the collaboration with PokerStars? I was drawn to the fact that they support and help other sports. We could achieve performance in many sports, if they should be supported. Do you believe that in life one also needs good luck? No doubt about it, just that often we make our own luck and we do not have to let the first dead end we encounter to bring us down, but on the contrary, we must become stronger.